Utilizes the same universal joints as double pedals to offer unsurpassed responsiveness. 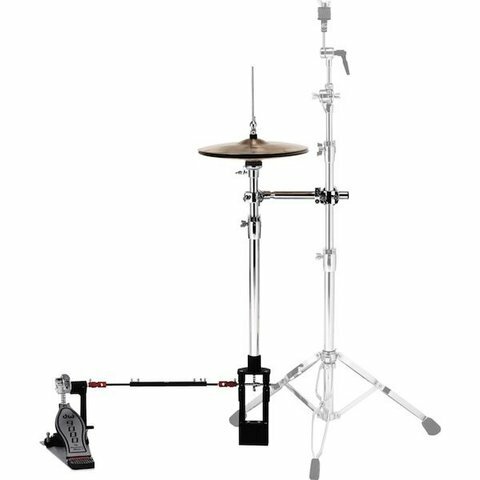 Cymbal stand not included.All of the heavy-duty features associated with the 9000 Series line of hardware, like heavy gauge steel tubing, integrated vise memory lock and lateral cymbal seat adjustment, are standard. The 9550 comes complete with auxiliary pedal, MG1 and MG2 mounting clamps and Universal Linkage with two extension options.